EFT can help you, once and for all, break free of comfort/emotional eating, yoyo dieting and eating disorders; setting you free to live your very best life. EFT is the perfect, easy to learn tool if you’re ready to be set free from those limiting beliefs and emotional blocks that are holding you back. It’s the perfect tool for those of you who’ve had enough of those feelings of emptiness, heaviness and exhaustion, and instead you’re ready to put yourself on a new trajectory to achieve your hopes, dreams and ambitions with energy and vitality. At last, living your true life’s purpose with ease! If you’re one of those woman who’s struggled with your weight it’s likely that food has all kinds of emotional meanings for you that probably started at an early age……. Were you rewarded for good behaviour with sweets, crisps or chocolate? Were you told you could only have dessert when you’d cleared your main meal plate? Were you expected to clear your plate even when the portions were large and you were stuffed to bursting half way through? When you felt sad or bad did someone offer you something to eat to help you feel better? When you achieved something important and felt really happy, did you celebrate with cake and chocolate? When you fell over and skinned your knees, were you given a lollipop or sweets to help you get better? Were family meals difficult for you, where family dynamics caused you stress and anxiety? You’re not alone, I think most families can tell these types of stories, as we’re conditioned to show people we love them through feeding them; my family’s no different! It’s these types of scenarios that can lead us to having really mixed emotions around eating certain foods that bring about weight gain and stubbornly gets in the way of achieving and maintaining your healthy body weight. EFT has been shown to beautifully and easily remove these types of emotional triggers laid down in such early life events. By gently clearing away these types of events you clear the way to set yourself free to see food as just food. Food will no longer have a big emotional charge attached to it, so lack of willpower will no longer be the obstacle getting in the way of you achieving your healthy body and weight. EFT has the power to transform your life especially if you’ve been resistant to letting go of the eating disorder because it’s your identity and you’re worried about who or what boring, mundane, normal person you’ll be without it. Or, are you worried that without the eating disorder you’ll lose control of what and how much you eat and get fat? Well EFT will help you manage that with ease. When your emotional drivers, that keep the eating disorder going are set free, you’ll simply see food as food and be able to manage what and how much you eat with ease. No more of the crushing thoughts that eating disorders fill your head with, so you can maintain your healthy body weight. EFT can set you free to be the truly awesome person you were born to be. Without that constant, distracting, noisy mind chatter and all-consuming need to control the food you eat. You’ll embrace a kinder approach to how much exercise you do and how your body looks. at last, you’re set free to live your life unencumbered to be as normal or quirky or extraordinary as you could ever imagine or possibly want to be. Gold Standard Emotional Freedom Techniques (EFT or Tapping) is an innovative, powerful healing tool that is very easy to learn. It was created and continues to be updated by Gary Craig and his daughter Tina, which has a growing scientifically constructed evidence base. It draws from the ancient principles of Chinese acupuncture, using the same meridian system, without the use of needles to realign the body’s energy system. It’s based on a theory that negative emotions are caused by disturbances in the body’s energy system. These disturbances are neutralised which, in turn, balances the body’s energy system when you gently tap on a few pre-defined points on the face, hands and body while maintaining focus on the negative emotions. The ultimate goal of Gold Standard EFT therapy is releasing the hurt of the past to bring about self-acceptance. Self-acceptance and forgiveness are the path towards a happier, fulfilled life where your full potential is reached. This is because by continuing to hold on to upset and blame towards parents, siblings and teachers etc. for events from long ago can continue to adversely affect your relationships and achievements today. Since Gary Craig developed EFT in the early 1990’s the very high rate of success achieved has resulted in its use spreading rapidly; today medical practitioners, psychiatrists, psychologists, counsellors, nurses, health professionals, social workers, coaches and the like using EFT/Tapping can now be found all around the world. EFT therapy is being applied by professionals and as a self-help tool by individuals to a wide variety of emotional and physical conditions with astounding results. As a freelance Dietitian, supporting clients with weight loss and eating disorders I could see the potential to better support clients achieve their goals faster and with more permanency by incorporating EFT therapy into my practice since these are conditions with emotional roots for many people. That is the reason I am now an Advanced Certified Practitioner in Gold Standard EFT. I’m lucky enough to be able to say my qualification training and competency was nurtured and validated by Tina Craig, who is the daughter of the founder of EFT Gary Craig. Click on this link to be taken to the official tutorial for Gold Standard EFT by the founder of EFT, Gary Craig. TG – Brilliant Advice and support, very friendly and will have a positive impact on me. Amazed with the results (EFT) and would recommend working with Jennifer. CG – Can’t believe my daily diet no longer consists of 5 or more chocolate bars! Never thought I’d see the day where I would turn down chocolate. Really love working with Jennifer, her support is amazing. MW – I know I was really sceptical that EFT would work to help me lose weight but I was glad I gave it a go. It was easy to learn and has been the key to helping me beat all the cravings that have been my undoing in the past. Weight loss has never been this easy and feel confident I can eat chocolate and never over indulge ever again. AC – Completely amazed with the results of the tapping. Jennifer is a really lovely lady to work with and I highly recommend her. Here’s how Emotional Freedom Techniques (EFT or Tapping) has improved many aspects of my own life. I was first introduced to EFT therapy by a pioneering NHS employed Behavioural Psychotherapist in 2002 after I was involved in a 60 miles per hour head on road traffic collisions (RTC), yes ouch!! Firstly, my GP referred me to a counsellor for a programme of around 6 Cognitive Behavioural Therapy (CBT) sessions as I was having dreadful flashbacks and nightmares and was unable to get into any car in the months that followed the RTC. Sadly the CBT sessions didn’t work, and everything still persisted in the same way as before. Thankfully there was another option available to me where I was referred to a behavioural psychotherapist who was introducing EFT into her practice. She showed me how to do this strange tapping sequence, then we went to work on clearing out the troubling aspects of the RTC that were preventing me from getting in a car, getting to and staying asleep as well as all of the other upsetting thoughts that go alongside such a horrendous event. Within about 3 sessions I was sleeping better, was able to get back in the car and drive without any anxiety, my pain symptoms improved, my medications reduced, my outlook started to become more positive; more like the old me….. Since then EFT/Tapping has been a supportive, self-help tool I’ve used to address the upsets of childhood that continued to affect me as an adult. I’ve used it to keep me calm when under extreme pressure studying at university; to calm my nerves in stressful situations; when something or someone is irritating me; when I’m in pain. I used EFT to beat my comfort/emotional eating, especially chocolate, which I used as a soother/tranquiliser when I felt anxiety/upset/distress etc. ; thankfully taht’s no longer the case… Yes, I, Jennifer Young, am a reformed, and in remission, chocoholic!! Although I’ve used EFT personally for over 15 years it’s only in recent times I’ve considered offering it to clients. This is because I wanted to wait for a rigorous training programme that expects the same professional code of conduct and ethics as the protected in law title of Registered Dietitian/Dietician. 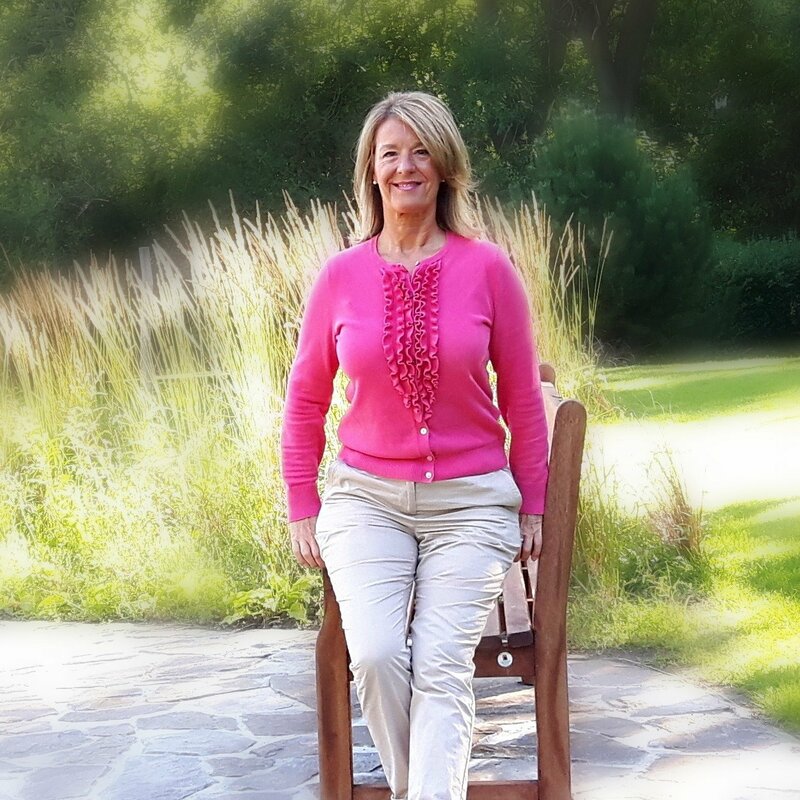 I thankfully achieved my goal in January 2016 when I became an Certified Advanced Practitioner in Gold Standard EFT under the rigerous supervision and guidance of Tina Craig, the daughter of EFT’s founder Gary Craig.